Let’s cut to the chase. After all, I made you read quite a long nutrition article yesterday, and since it’s Monday, you’re busy. Some of you have Leprachauns to chase, while others have basketball brackets to fill out. So let’s get you your weekly Monday circuit workout. This one comes courtesy of Certified Turbulence Trainer, Derek Wahler, of beautiful Madison, Wisconsin (always one of the healthiest cities in America, as rated by Men’s Health magazine). Do each exercise back to back with no rest between each. But take a break within the time allotted if you need to. Do not rest at the end of the circuit. Do the circuit 2x’s for a 10-minute. You can do the circuit up to 4x’s if you have 20 minutes. Finally, if you have access to a TRX, use bodyweight rows instead of Cross-Body Mountain Climbers as the 5th exercise. 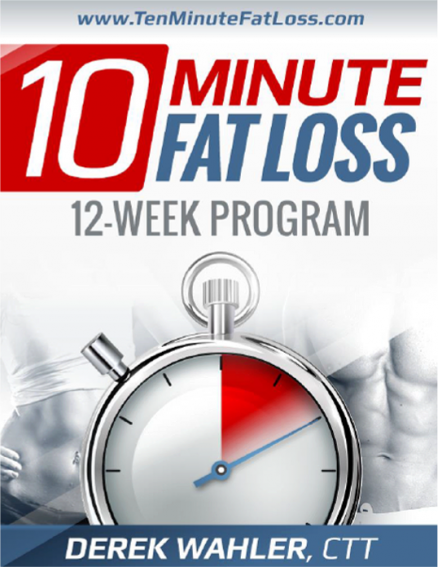 I’ll be sending you a new free circuit each week. Never quit. If you stumble, get back up. What happened yesterday no longer matters. Today is another day, so get back on track to your goals. …another member of our growing Certified Turbulence Trainer family, and I’m really proud of all the action he’s taken in the last year. When I first met him, Derek worked in the IT world. But now he’s turned his passion into his career, and runs a fitness bootcamp in Madison. Million Men and Women from all over the world to transform their lives. If you want to learn more about how you can be a part of the TT 10 Million Transformation Mission, watch my video story here. Thank you!